Home > Tourism > What's the biggest country in the world? The earth outward is comprised of many countries, some small some, others are landlocked countries and other are very super populated. In this article, we elaborate the biggest country in the world that occupies huge areas and stretch across the continents or even can contain a large area of water surface. Every country has its own unique features that either attracts the tourist or its visitors. Notably, our above list only indicates those countries that are only officially documented independent states and therefore excludes dependent territories like Greenland and Western Sahara. We have provided the accurate data on the total area of each and every country in square kilometers as well as square miles. In additional, the article has well stipulated the neighboring countries that share borders with them. The following is a discussion of the largest countries by area in the world which includes some pretty big places from Russia at number 1 all the way down to Algeria at number 10. Russia is the biggest country in the world far with the size of 17,098,242 square km (6,601,668 square mi). The biggest country borders European and Asian countries as well as the Pacific and Arctic water oceans. Thou its a landscape, it’s very famous for Moscow’s Bolshoi and St. Petersburg’s Mariinsky ballet companies that house part of the State Hermitage Museum's art collection. Canada is a North American country and emerges to be the second largest in the world and largest in the Americas with 9,984,670 square km (3,855,100 sq ml). It stretches from the U.S in the south to the Arctic Circle in the north. Its major cities include Toronto, West coast film center Vancouver and a capital city known as City Ottawa. It's a tourist attraction that consists of swaths of Wilderness Lake filled Banff National park and also the host the famous group of massive waterfalls the Niagara Falls. China is the third biggest country in the world and the largest in Asia: 9,706,961 sq km (3,747,879 sq mi). However, it's the populous nation in East Asia and its capital Beijing host historic sites such as Forbidden City palace complex and Tiananmen. The United States is the fourth largest in the world: 9,629,091 sq km (3,717,813 sq mi). It is only slightly smaller than China. The United States is made up of 50 states, a federal district, and five territories. However, it has great influence when it comes to world finance, trade, culture, military, politics, and technology. Brazil is the 5th biggest country in the world and the largest country in South America and in the Southern Hemisphere: 8,514,877 sq km (3,287,612 sq mi). Besides being the 5th biggest Brazil is home to the Amazon River which is one of the longest rivers in the world. Australia emerges to be the 6th largest in the world and the largest country in Oceania. A study shows that it is the largest country without land borders: 7,692,024 sq km (2,969,907 sq mi) and also one of the countries with the Longest Coastlines in the World. India is the 7th largest in the world but less than half the size of Australia: 3,166,414 sq km (1,222,559 sq mi). It is also one of the most popular countries in the world. Argentina is the 8th biggest country in the world with a size of 2,780,400 sq km (1,073,500 sq mi). It is a continent surrounded by the Indian and Pacific oceans. This is the 9th place and just slightly smaller than Argentina: 2,724,900 sq km (1,052,100 sq mi). it is located in central of Asia. Algeria is the 10th largest in the world but the largest country in Africa: 2,381,741 sq km (919,595 sq mi). 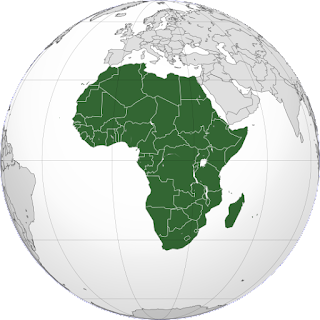 It’s located in Africa and is the biggest country in Africa. In conclusion, the biggest of a country is measured by its landmass, the more the bigger the country the more residents it hosts.